​Since these 65 Togethers of Scripture are straight biblical truth and not human opinions, they outline God’s best way for Christians to work together and influence the non-believers around them. 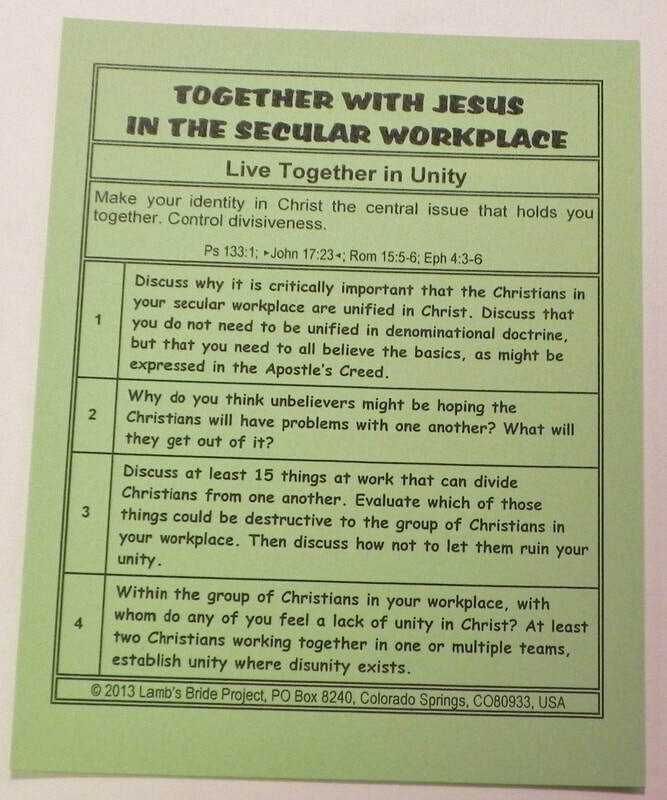 Christians must bring Jesus into their non-Christian work environment through their relationships with one another. Christians living and working together God’s way will surely be noticed. You can meet at lunchtime or off premises once or twice a week and bring Christ’s love into your workplace. The people of God are supposed to positively affect society. And, while your closest friends at work might be non-believers, you Christians can exhibit Jesus in your relationships as the best way to bring those closest non-Christian friends, as well as others, to eternal life with God. 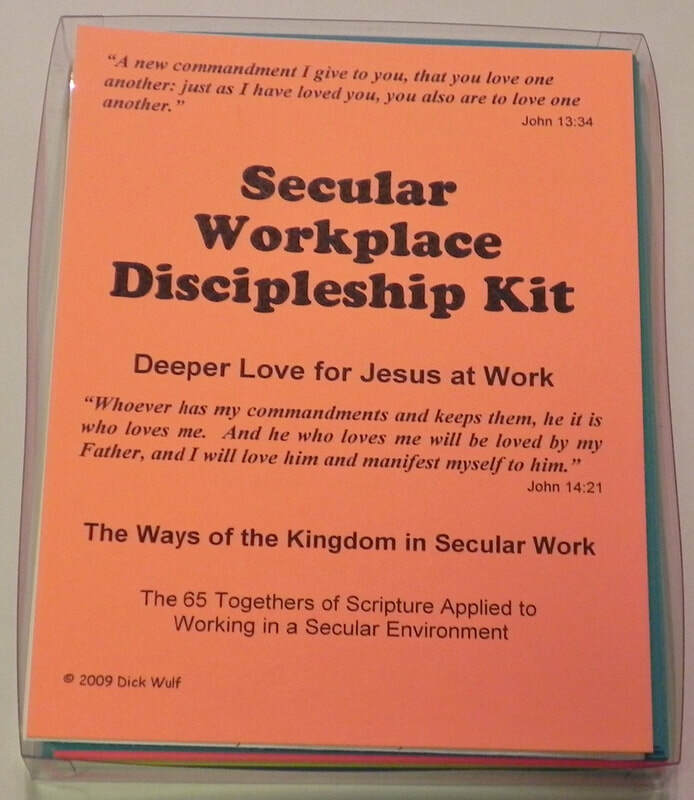 You will be glad you let Scripture guide your interpersonal behavior in your workplace a little more. There is one card for each of the 65 Togethers of Scripture. 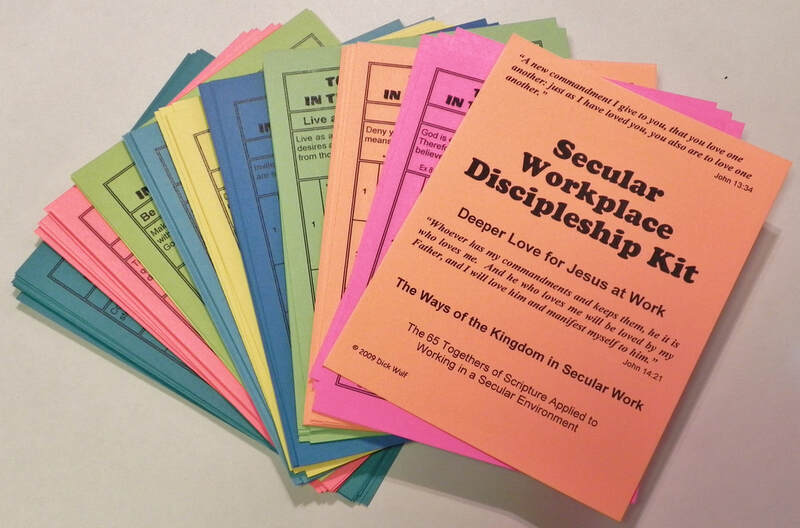 Each card suggests things that will help you and your Christian co-workers better understand some aspect of biblical obedience and Christian love (the specific Together listed at the top of the card), and, hopefully empower you through the Holy Spirit to do it. While you can do the cards in the order they come in the box, it is probably better to review the 65 Togethers and find which Togethers are most needed now. Pray and the Lord will guide you in your first choices. Please do not give up if it becomes too difficult. Discipleship and Christ-centered relationships are too important. God’s glory is what we live for. Be like athletes training for the Olympics and persevere.